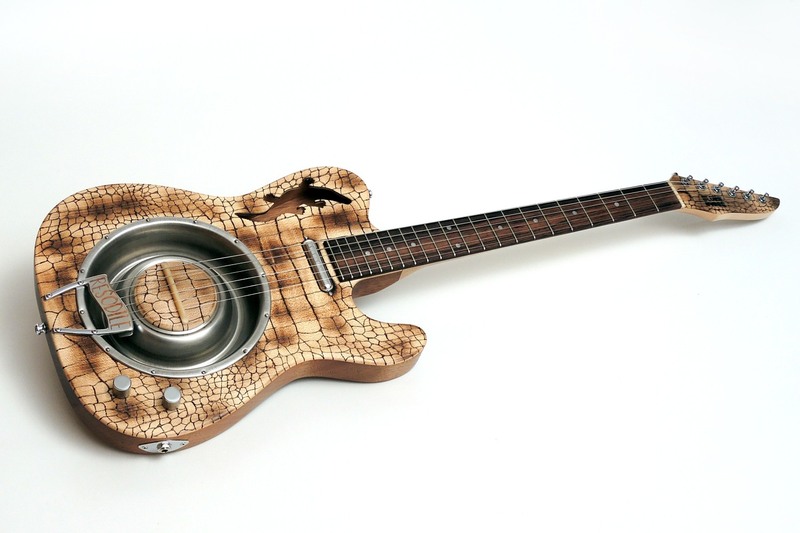 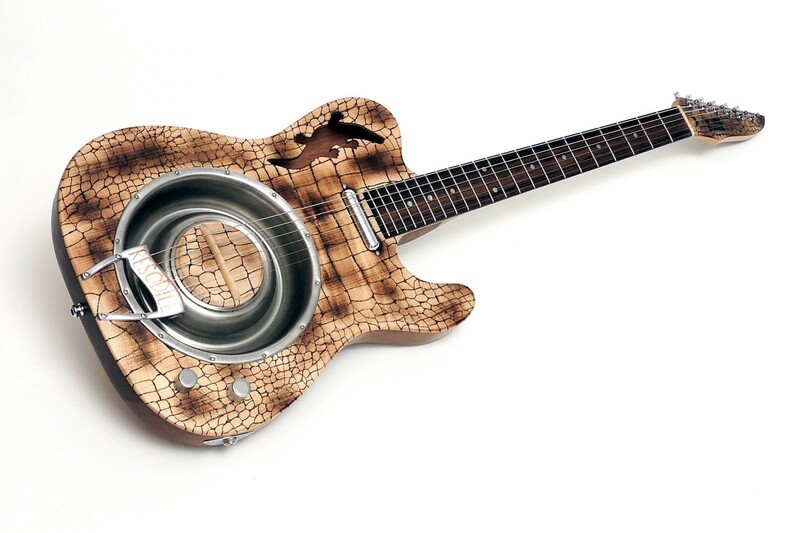 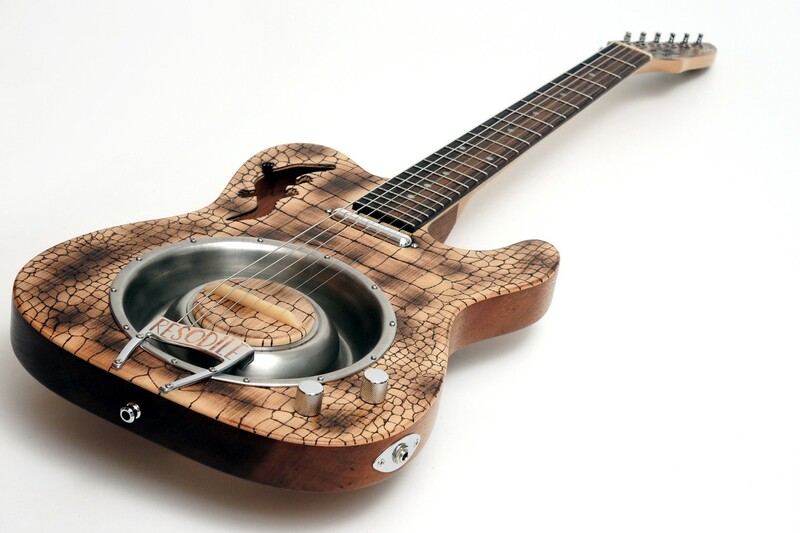 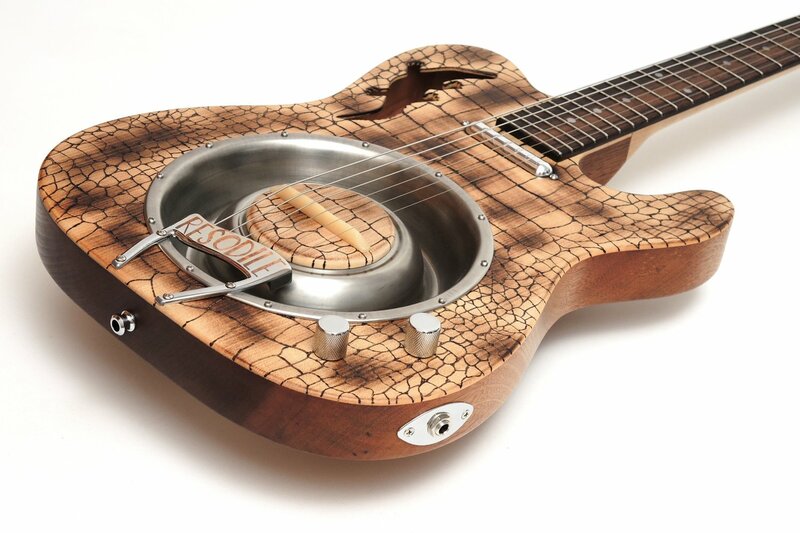 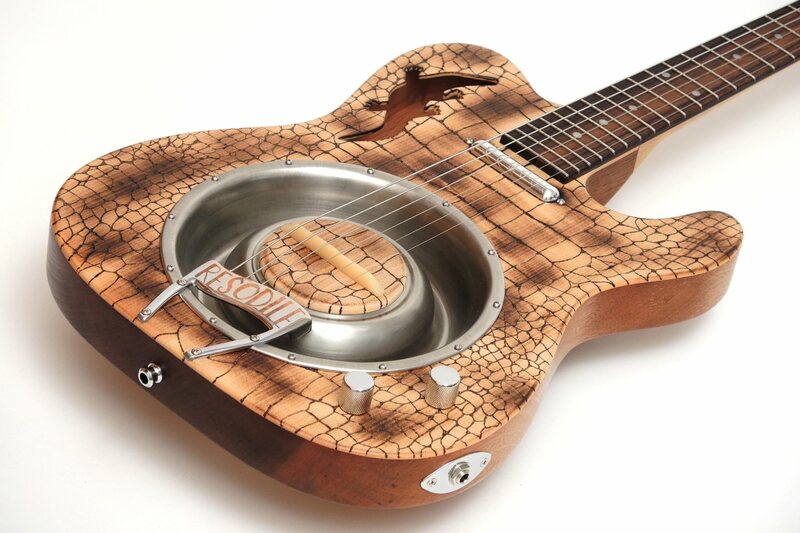 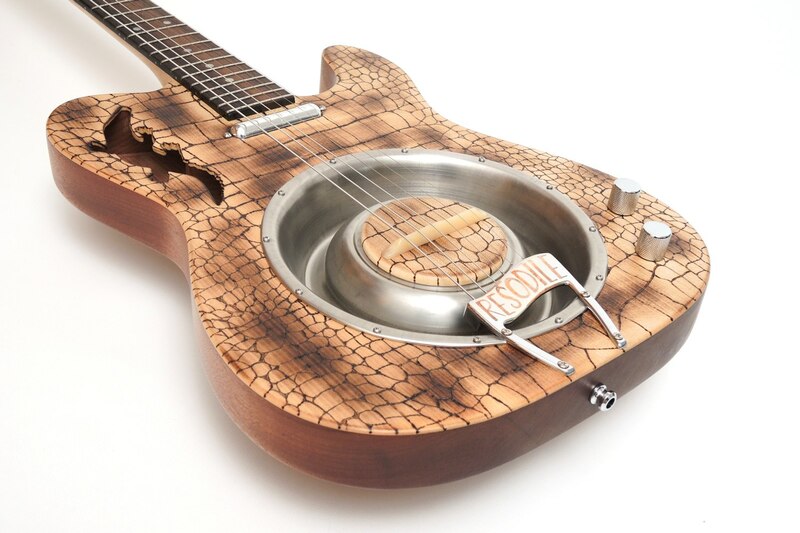 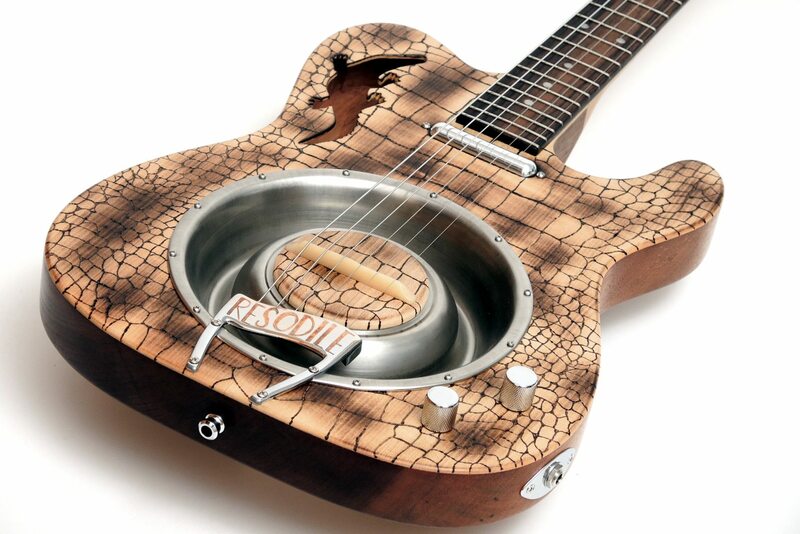 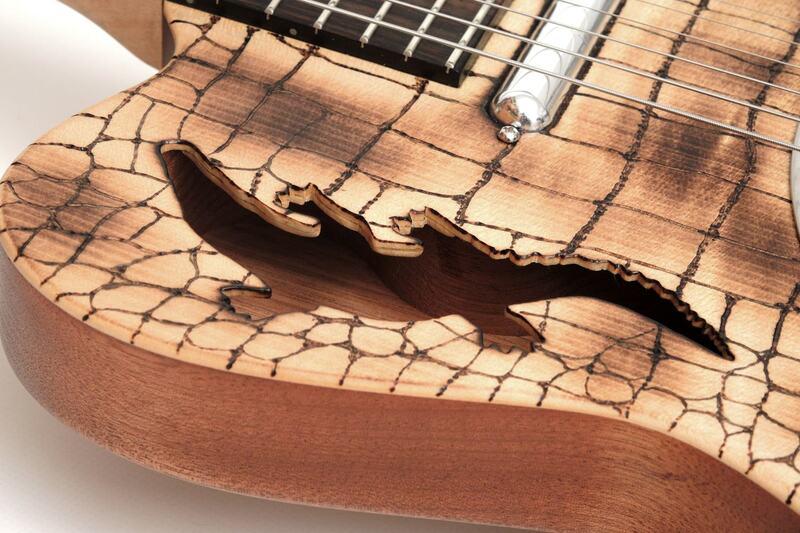 A thin-line resonator guitar that transports the sound of the American South both visually and acoustically. 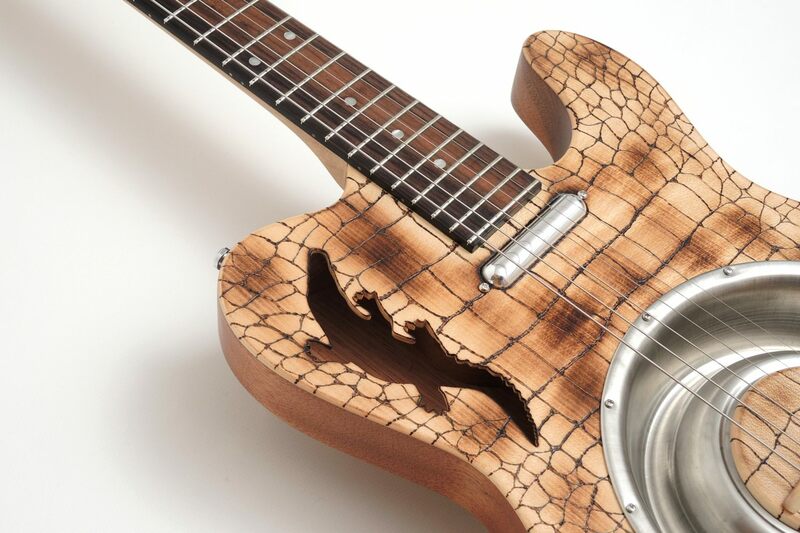 This instrument is based on the fusion of features of two iconic blues guitars, Telecaster* and Resonator. 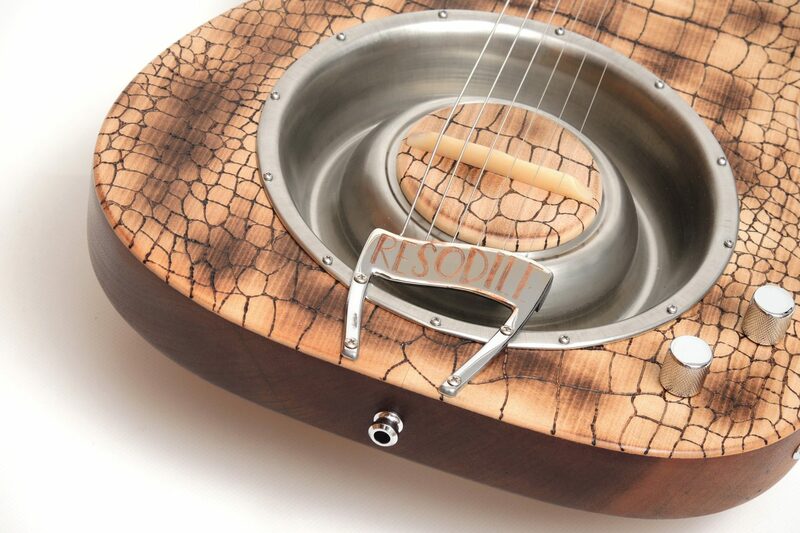 The resulting sound is characterised by crisp twang next to the growling assertive timbre of the resonator. 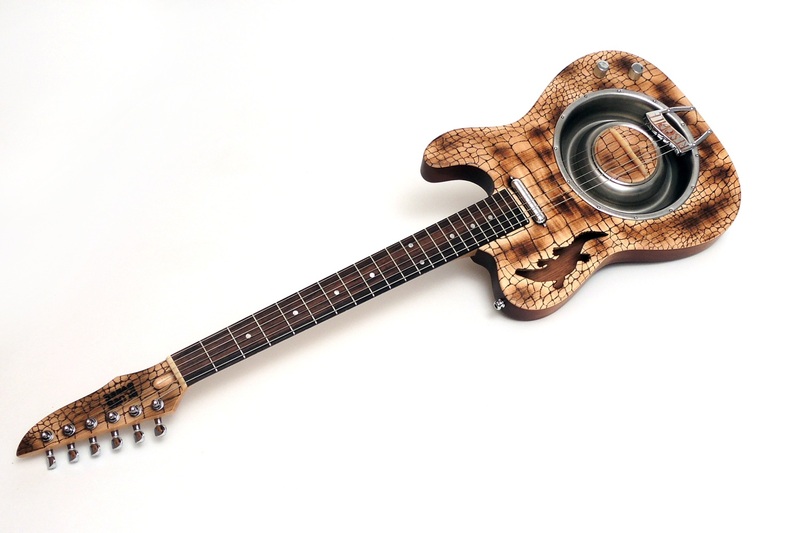 Thanks to the maximally hollowed body, many acoustic components are resonating too. 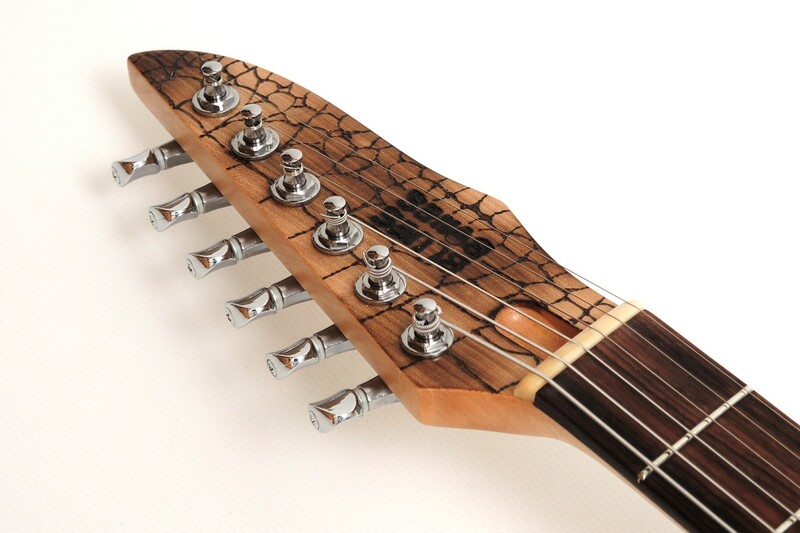 The electrics are implemented by a lipstick pickup in the neck position and a piezo pickup under the bridge. 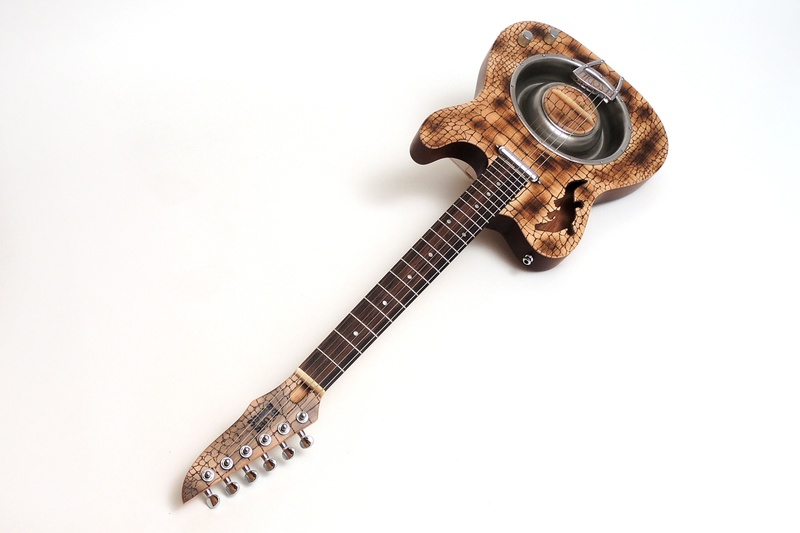 Since both pickups can be mixed steplessly, the player has a wide range of sounds between electric guitar and acoustic resonator. 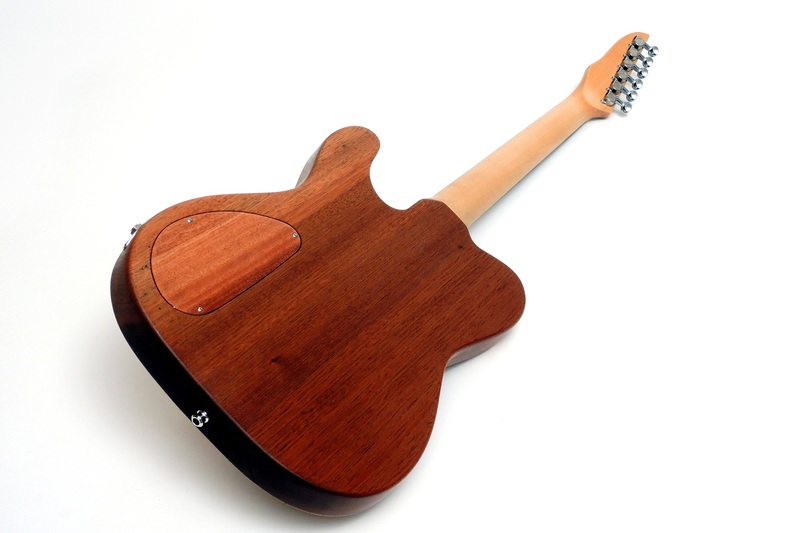 Especially with frequent changes between normal playing techniques and the use of a bottleneck, this flexibility pays off. 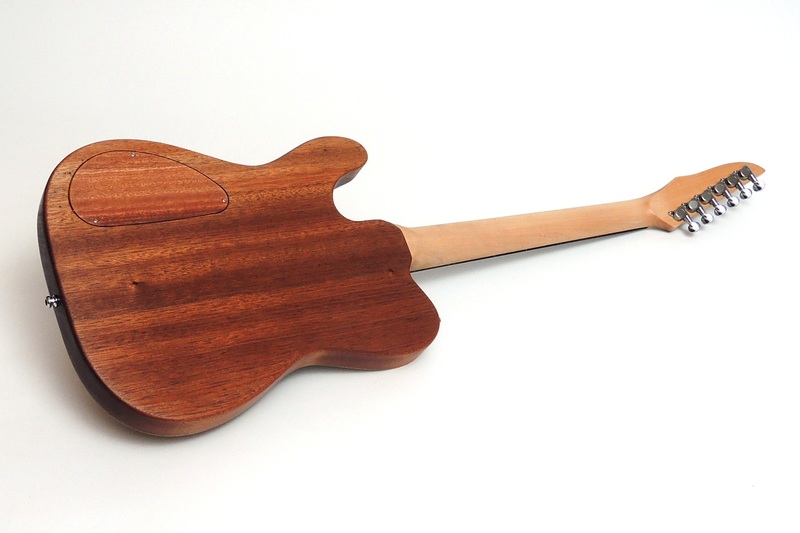 The body base is made of mahogany with a maple top. 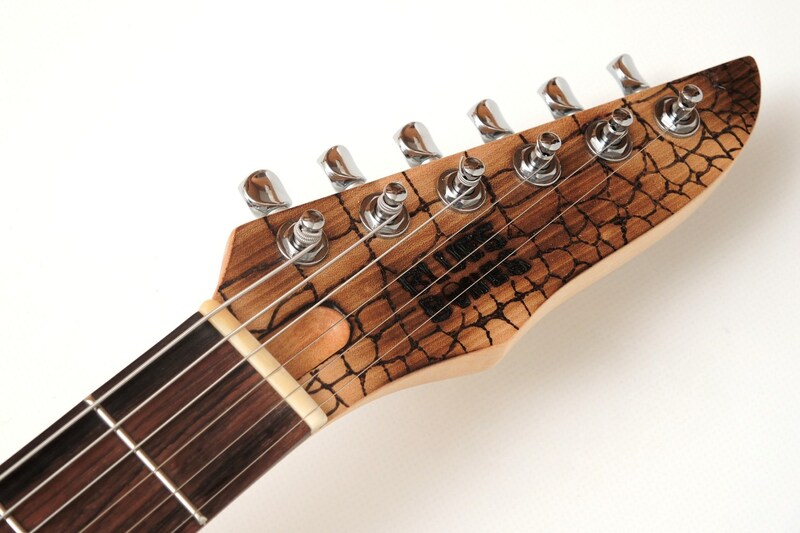 The neck is also made of maple with a fingerboard of Indian Rosewood. 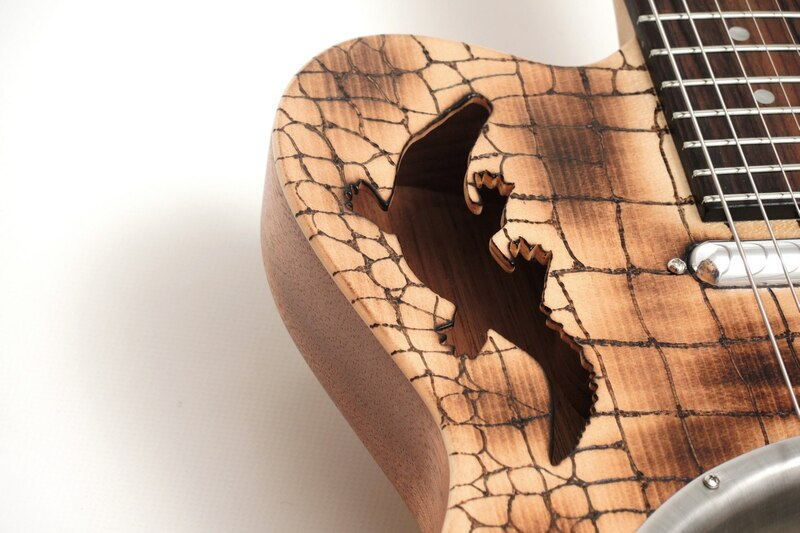 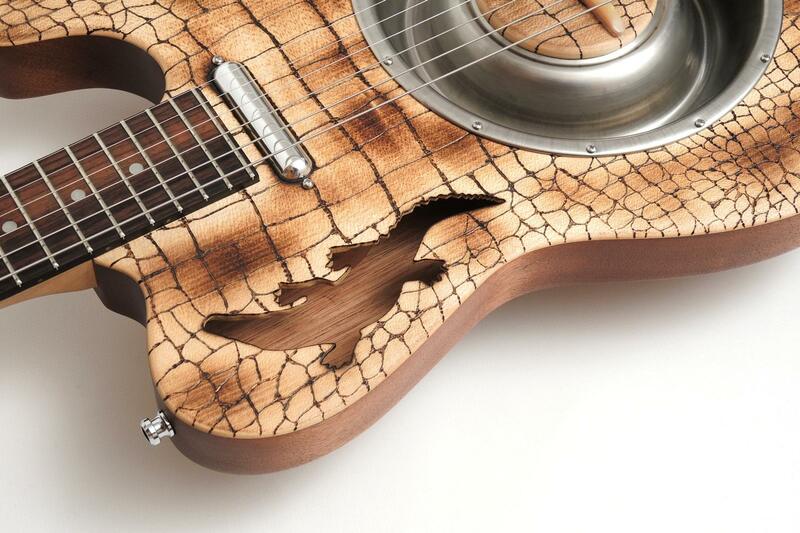 The crocodile pattern was burned by hand into the top and then treated with a flame burst. 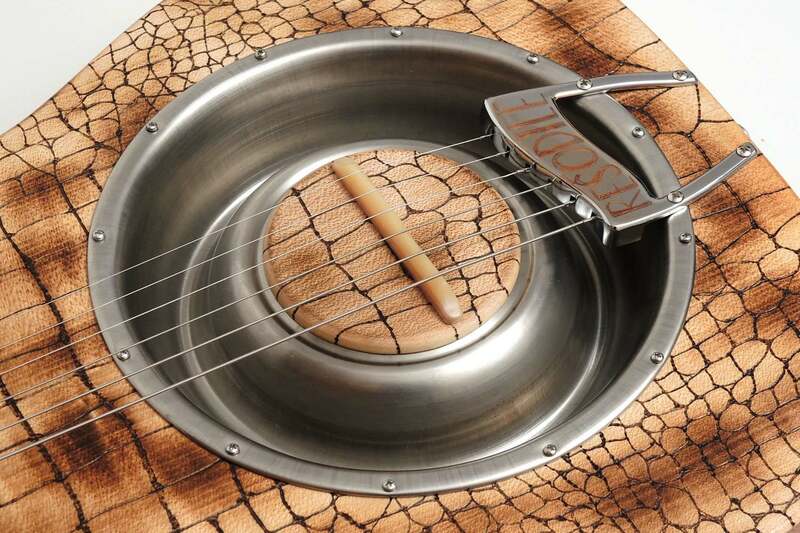 The complete instrument is sealed with oil and wax to preserve the natural feel of the wood and still protect it optimally.  *Tele and Telecaster are registered trademarks of Fender, which are in no way associated or affiliated with Blues Bones or Stoll Guitars. 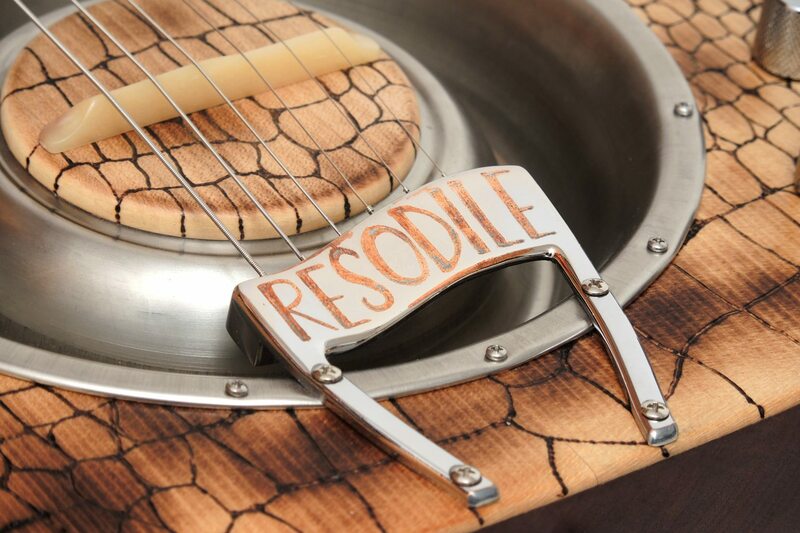 These trademarks are used solely to identify the products of Fender. 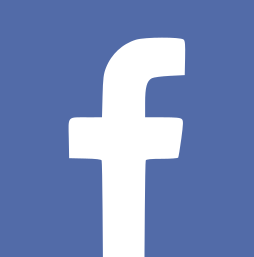 These terms are used to more easily specify products, but have not been made by them. 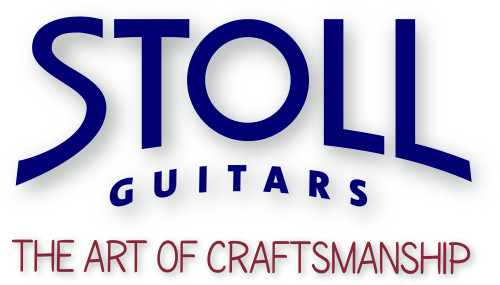 Neither Blues Bones nor Stoll Guitars are affiliated with this company yet.